The true magic in all relationships is connecting and how that occurs isn’t really important, as long as it does. Being aware of your energy is a responsibility, not only does it affect those you interact with but it affects you personally and how you view yourself and the world. The energy you bring starts within and honestly my opinion is that your own energy raises not only your level of happiness but others as well. Happiness within begins with enjoying your world, living for yourself, and I don’t mean in the self-serving way but in the way that you fill your own cup and as your energy rises that cup overflows and pours that beautiful energy into the lives of others. All things are energy, most all of us use other energy sources in an effort to lift spirits when feeling low and/or depleted. 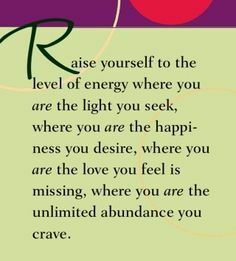 Energy sources like music, gardening, painting, writing, cooking, walking, soaking up the sun, the list can go on and on but what these energy sources provide you with is the opportunity to raise your spirit, your energy and your vibration. When you raise all those levels you begin to align yourself with your greatest potentials and that is when the dreams you thought were just dreams become realities. The challenge is maintaining those levels because let’s face it sometimes life throws you curveballs and sometimes it doesn’t feel like you’re going to be able to recover. It takes only the tiniest moment of inspiration to motivate you back up and your best resource is to get back in touch with whichever energy source it is that elevates your happiness. You need to do that not only for yourself but for those in your life that are in your space of energy. My energy levels can get motivation from a few sources, my favorite is anything athletic, team or one player sport because it’s not just about raising my energy but inspiring others to get in the game too. I love it when I succeed as well as watching others succeed, a perfectly executed play in any sport is inspiring. Athletic competition isn’t just about the winning aspect, although don’t get me wrong, that is fun and I do enjoy it but most of the time I am more in competition with myself. It’s not just about getting the job done it’s about getting it done to the best of my ability and always trying to beat that, and the camaraderie is infectious. There is so much satisfaction to be gained from bettering yourself in any area of your life and what you end up doing is putting an endless spin on your personal wheel of motivation and inspiration. One thing that you always hear from those that have aligned with their higher level of energy is that the work in that state of being doesn’t feel like work and that is because when you get yourself into alignment, things just click, they fall into place and it leaves you wondering why you didn’t go their earlier. Best energy by far was that of my favorite author, motivational speaker, Dr. Wayne Dyer. 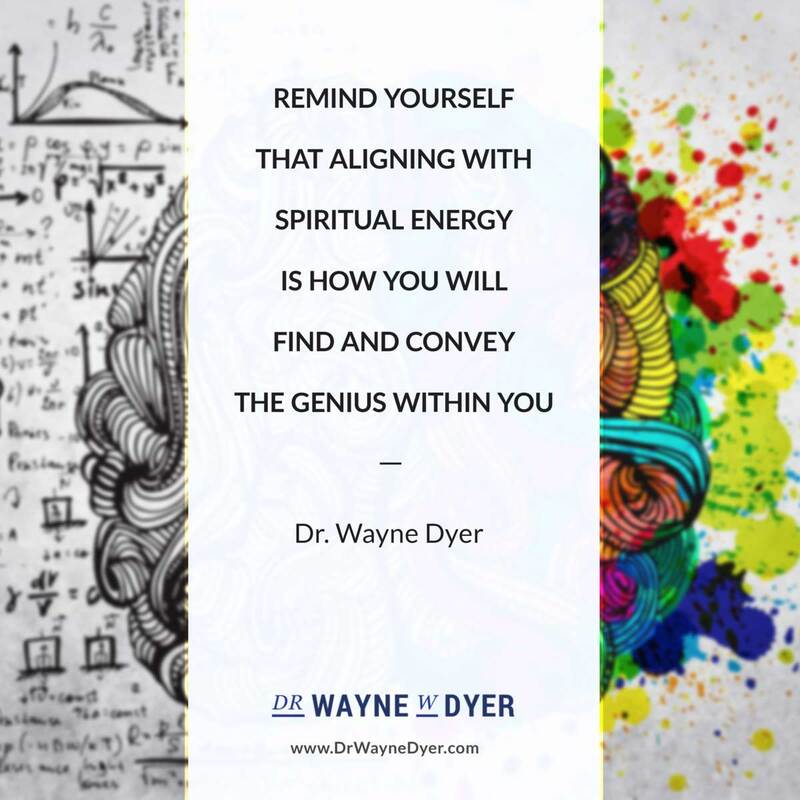 I was saddened a couple weeks ago to hear the news of Wayne Dyer’s passing on August 30th, he was my greatest inspiration and the very definition of the energy you bring into your relations with others and how important it is for you to ask yourself the more meaningful questions about life. Do you want to just exist or do you want to live and breathe life to its fullest? Living life to its fullest includes getting in touch with anything and everything that inspires and motivates your happiness within and in case you were wondering it will also lead you to your purpose, your very reason for being and that will provide you with more happiness than you can ever imagine.